The Optiv Cloud Security Architecture Program helps you plan, build and run a cloud security program in any cloud environment, whether private, public or hybrid cloud. By applying a holistic approach to security, we remove the uncertainty surrounding securing the cloud without sacrificing agility. 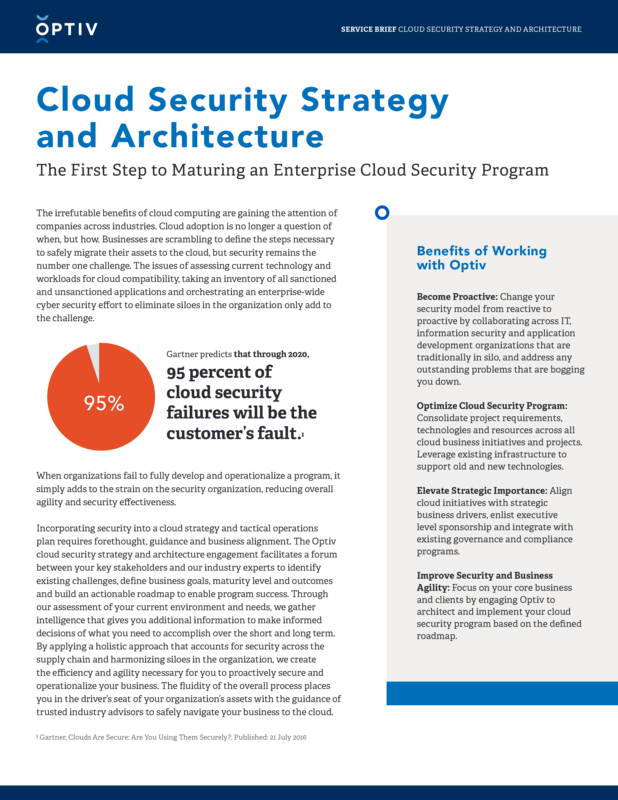 A successful Cloud Security Architecture Program engages with key stakeholders to produce a strategic and tactical roadmap aligned to business goals and objectives that results in a logical progression to a mature cloud security program.